This morning I read on paidcontent.org that KickApps just received $11 million funding. These guys are a competitor to Ning, covered recently by the Baltimore Sun. Social networks are all the rage, of course. They offer so many opportunities and information, detailed and immediate. 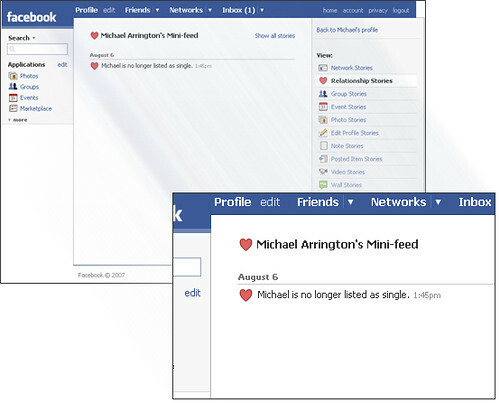 Example: I was alerted on Facebook that Michael Arrington changed his relationship status (he was single, above) recently and then noticed a picture of him on Flickr (looking very single) and this week if you are one of his many Twitter or Facebook followers you know, like I do, that he is “sick as a dog” this week. Which airports people take, what they had for lunch, what party they are going to. What they like, who they like, etc. This Next Sunday, August 26th, on Lisacast I’m going to talk with someone who knows social networks from the inside out. 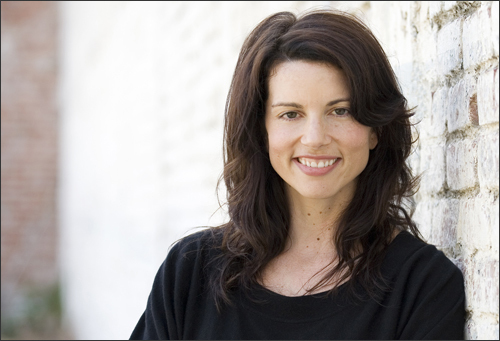 Gina Bianchini is the co-founder and CEO of Ning, a social networking service with a twist – it empowers people to create their own social websites and social networks. Prior to Ning, she was co-founder and president of Harmonic Communications which was acquired by Dentsu. She has also held positions at CKS Group and Goldman Sachs & Co. She holds a B.A. from Stanford University and an M.B.A from Stanford Business School. Join me and listen live or call in. Listen to last week’s show >>.